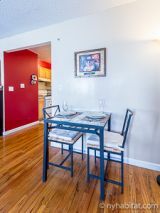 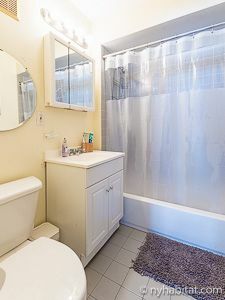 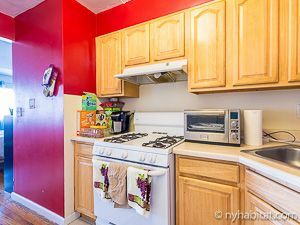 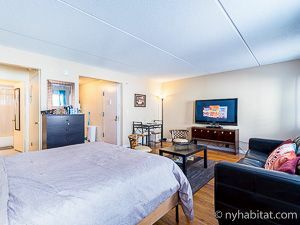 Welcome to this studio apartment in the New York City borough of the Bronx. 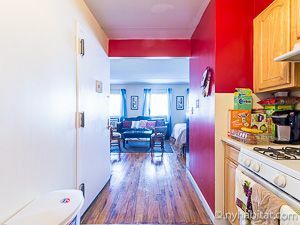 You will find it on the 2nd floor (1st in Europe) of a house with no elevator located at the corner of Mount Eden Parkway and Topping Avenue. 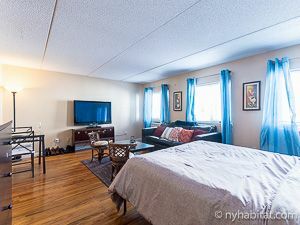 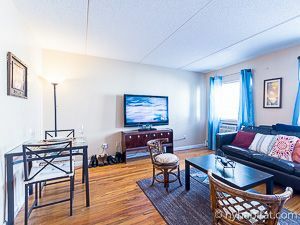 Upon entering this fully furnished studio, find hardwood floors, contemporary design and warm colors. Natural light is pouring in. 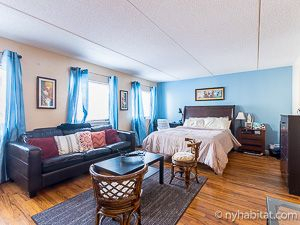 It is furnished with a sofa and coffee table, a flat-screen television, a desk, and a double-sized bed. 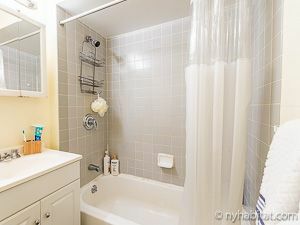 A drawer chest and built-in closets are available for storage space. 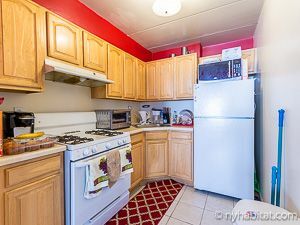 The kitchen has all the necessary cookware and dishware, a fridge, a microwave, stove, a toaster, and a coffee machine. A dining table is installed for dinner at home.